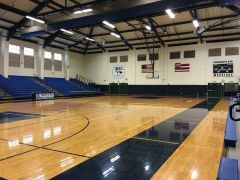 Kula Kiʻekiʻe nā haumāna participate in the Maui Interscholastic League (MIL). There are 42 KSM athletic teams involved in 22 different MIL sports for boys and girls at the Varsity and Junior Varsity competition levels. 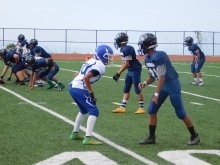 Kula Waena nā haumāna participate in the Independent Middle School League (IMSL), Maui Park and Recreation basketball league, Big Boy football league, and USA wrestling leagues. Kula Haʻahaʻa 3rd-5th grade nā haumāna participate in Maui Park and Recreation Leagues for basketball, volleyball, and track and field. League participation and release forms will be available during the registration window. Please visit each sport page for more information. In addition to these forms, every haumāna/makua must complete an online sport-specific sign up that will be communicated via KS Connect and social media platforms. All sign ups will need to be completed from a KS device (KS-issued laptop or iPad). Uniforms and equipment will be provided by KSM athletic personnel and must be returned at the completion of each season. Please see student-athlete handbook for updated policies and procedures for the KSM athletic department. We welcome all interested Warriors to participate in one of our many athletic teams! I MUA!